Olympus Mons is considered to be the largest and tallest volcano in the Solar System. 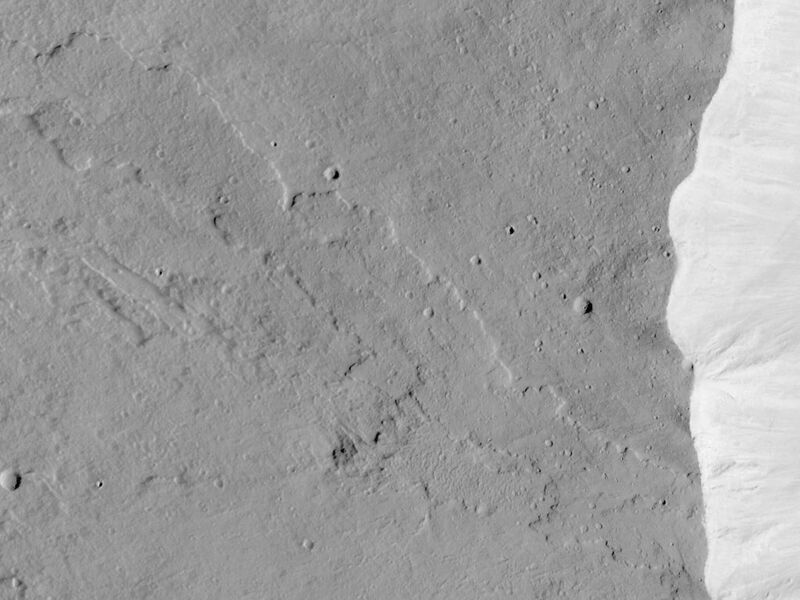 This Mars Global Surveyor (MGS) Mars Orbiter Camera (MOC) picture shows the western summit region of Olympus Mons. 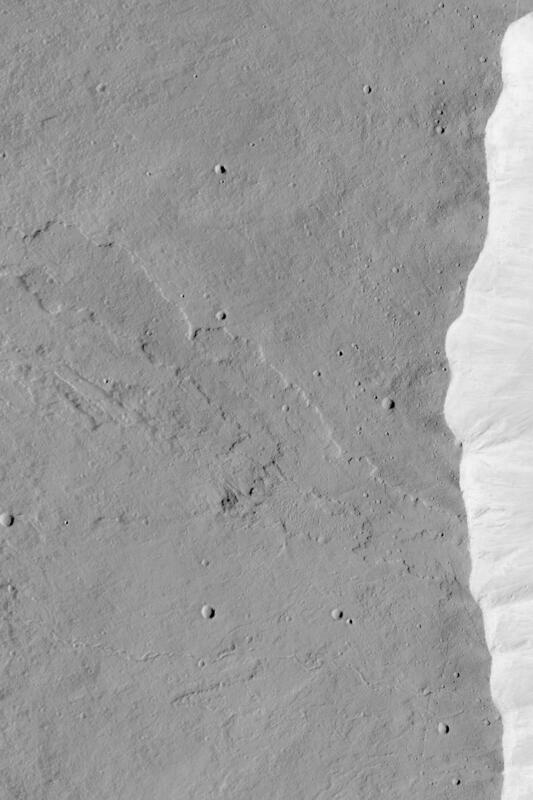 This area is at an elevation just over 20 km (12 mi) above the 0 km martian datum. The bright feature on the right (east) side of the image is the uppermost wall of the caldera (collapse pit) at the top of the volcano. This image shows a lava flow that was cut by the pit walls when the caldera collapse occurred. Below (south of) the lava flow is a narrow channel formed by lava at some time in the distant past. 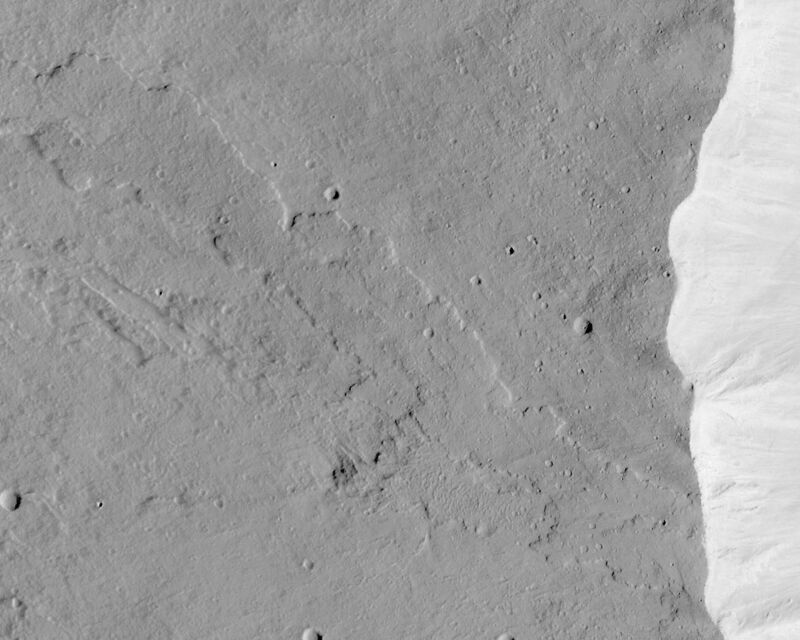 This view of the summit region of Olympus Mons is located near 10.6°N, 134.0°W. 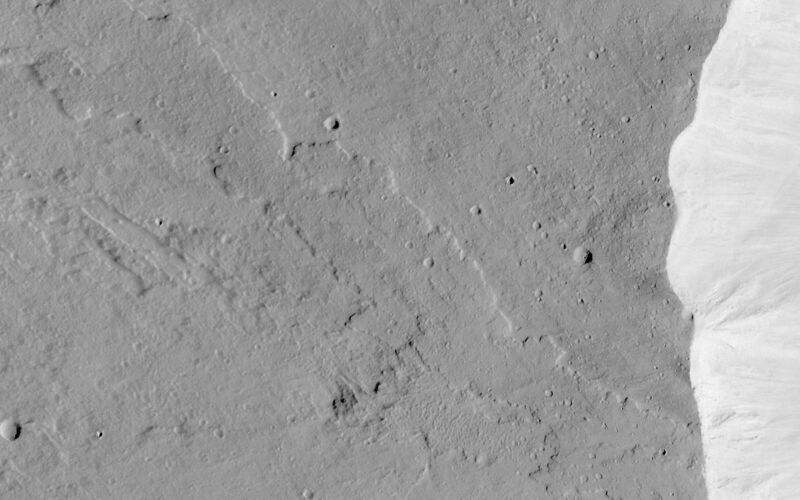 The area shown is about 7.9 km (4.9 mi) across. Sunlight illuminates the scene from the right.